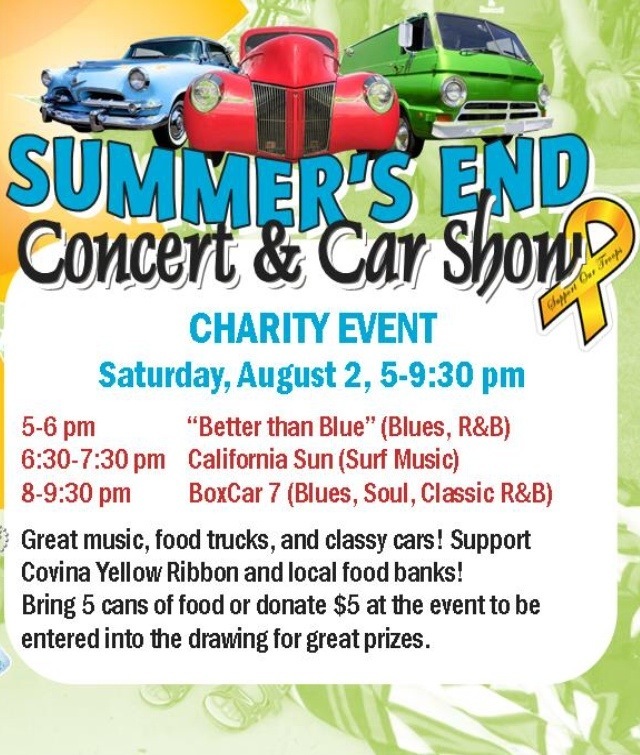 Covina Summer’s End Concert & Car Show this Saturday August 2nd. This entry was posted in Things to do and tagged car show, cars, Covina, covina ca, music, summer, summer concert by Yesenia Ruvalcaba-Garcia. Bookmark the permalink.